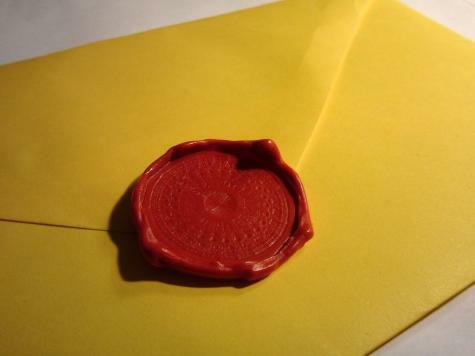 But what if you don't keep a stick of red sealing wax on hand? Plastimake it! 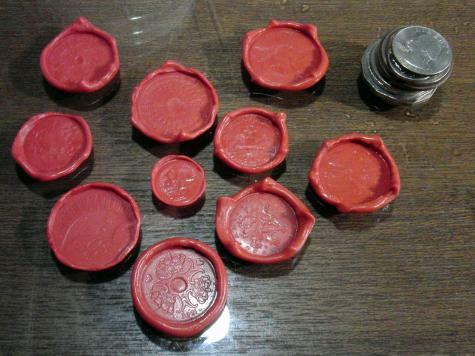 Dye some Plastimake red. We added a drop of black ink to create a slightly darker shade of red. Use your hands to form a small ball of red Plastimake, about 1cm in diameter. 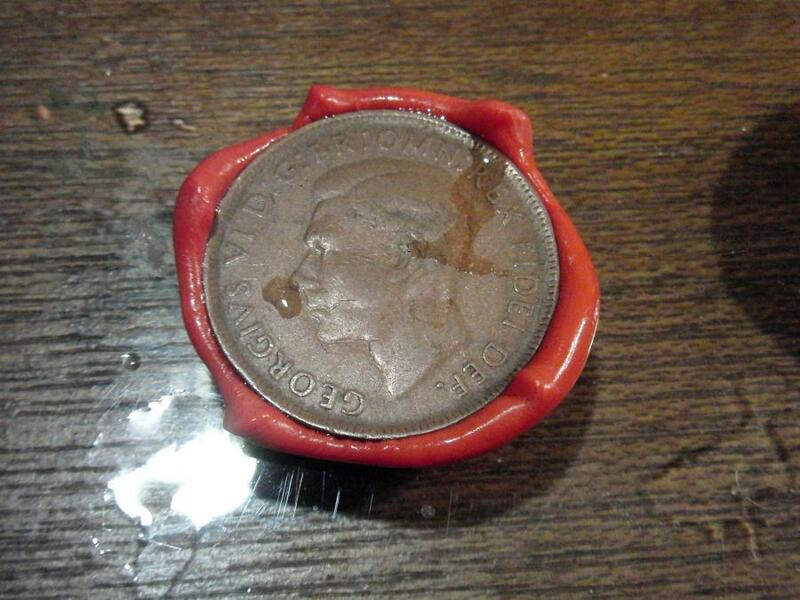 Squash the warm Plastimake ball with a coin. Make sure you do this onto a dinner plate or another surface that Plastimake won't stick to. 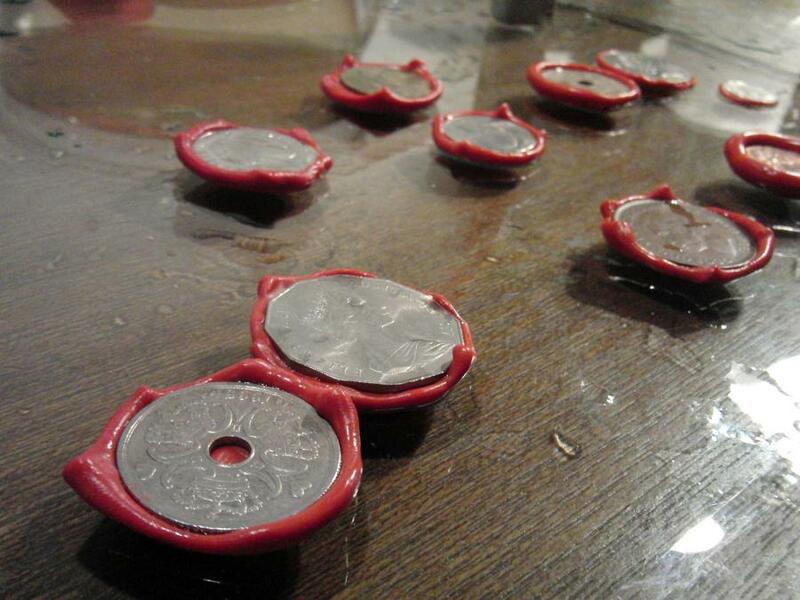 Once it has cooled, peel your red Plastimake seal away from the coin - it's ready to use. * Authentication results may vary.